Spring is in the air! Thanks to a milder winter, we are starting to see the usual spring time blooms that little bit earlier this year, which is also a sign of the brighter nights on the horizon. With new seasons, come new trends, and with that we have brought you some of what you can expect in interiors over the next coming months, from colour trends to worldly inspirations. 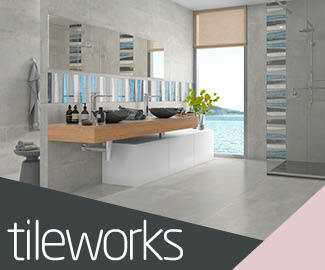 Next we take a look at one of the most used rooms of any home; the bathroom! This room takes a hard hit, with the high moisture levels and the heavy footfall of the whole family. 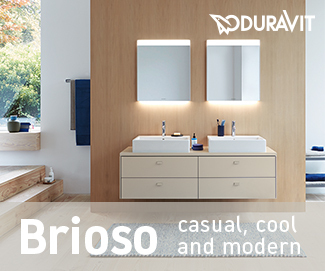 We bring you practical and stylish inspiration, with lots of options for baths and showers. Our hallways and entrances are often overlooked when it comes to styling in the home, but it is the first space that any guests well see when visiting! More recently, we are seeing a ‘rebirth’ of the hallway, with more focus being spent on giving it its own style. Our feature brings lots of ideas to the table for you to add your own style to this area of the home. We also take a look at some of the latest in technology in fridge freezers. 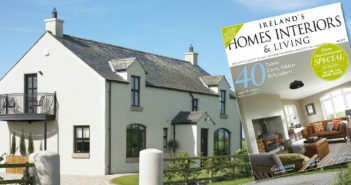 Our homes this issue take us to Katie and Dave’s converted mill outside Kinsale, where Katie has put her own stamp on it. An apartment with a view of Dublin and beyond, this home owner has injected personality and flair throughout. In Killyleagh, John has transformed this mid terrace home, with the help of Des Ewing Architect, into a truly unique abode filled with light and sympathetic finishes. Our travel pages take us off to the dazzling bright lights of Las Vegas, where we discover what to do beyond the casino. Here in Ireland, we are uncovering some of the spots around our island that has welcomed film makers over the years, from Star Wars to Game of Thrones. Last but not least, you can feast on Gino D’Acampo’s Italian delights, as we bring you a few recipes to try from his latest cookbook!